The Harper rug range is designed by Oriental Weavers, recognised for their leading role in the machine-made carpet sector. The Harper rugs stand out as an exquisite hand-woven collection of subtly appealing and effortlessly contemporary rugs. Each beautiful Harper rug adds a splash of colour to your room. 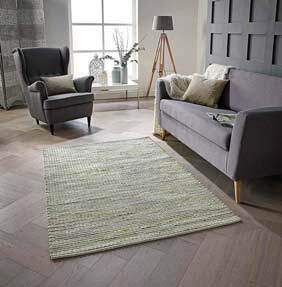 Each Harper rug is space dyed to create a unique appearance and there are a range of colours and sizes to choose from. Each rug is hand-woven with great care and attention and they are crafted from a combination of wool, jute and cotton yarns. Simple in design, each Harper rug adds an accent to your room as well as warmth and texture.